The essence of this book is about change, changing roles, changing times and our reaction and action through making art. “Mother Art” documents the work of this seminal collective of artists who came together through the Woman’s Building in Los Angeles in 1973. Using photographs of the group’s work, we gain a unique understanding of the issues critical during the thirteen years of Mother Art’s existence. These feminist artists started by confronting discrimination against artists who are mothers and went on to tackle a vast array of social and political issues in their art. The group was attacked by the press and politicians, including Ronald Reagan. They fought back with humor in public art performances. In the 1980s the group’s collaborative practice gave voice to illegal abortion victims, homeless women, immigrants from Central America and others. By using real women’s narratives, Mother Art personalized issues of social justice. This book is a visual catalog of the collective’s projects, exhibits, performances and installations. 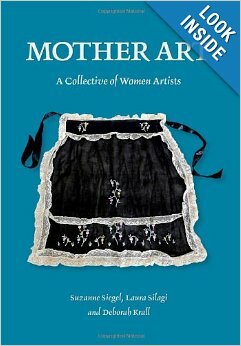 It includes essays by art historian Jeanne S. M. Willette, PhD, Otis College of Art and Design and historian Michelle Moravec, PhD, Rosemont College, quotes, personal narratives and a time line of Mother Art’s activities.